Entries are now closed for the Drapers Digital Awards - and we're currently shortlisting the best of the best in ecommerce from across the fashion industry in the UK and Ireland. The awards ceremony will take place on Wednesday 15 May at The Brewery, London, as a culmination of the Drapers Digital Festival. The Drapers Digital Festival daytime content will delve deep into what this means for fashion businesses, and why agility and innovation are key to surviving and thriving. All free tickets have now been allocated - for your chance to attend the daytime content of the Digital Festival please book your table for the evening or purchase one of our brand/retailer day time passes. Raise your company profile with the most successful fashion retailers. We've got a number of packages that can be tailored to suit your needs. Across 5 stages, the Festival will present the stories of the best fashion ecommerce professionals who achieved deeper connection with online shoppers. 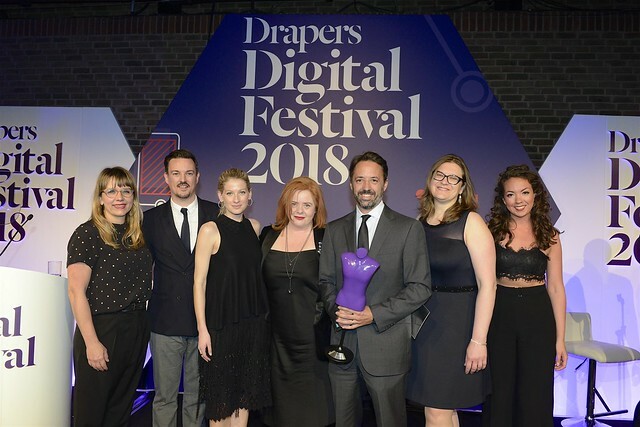 Watch the Drapers Digital Festival 2018 official video to hear from last year's winners and relive the prestigious ceremony. Drapers is pleased to announce the launch of Drapers Disrupt, a hub within Drapers Digital Festival dedicated to new technology businesses and providing a chance to showcase your start-ups area of expertise by joining the Drapers Disrupt lounge. 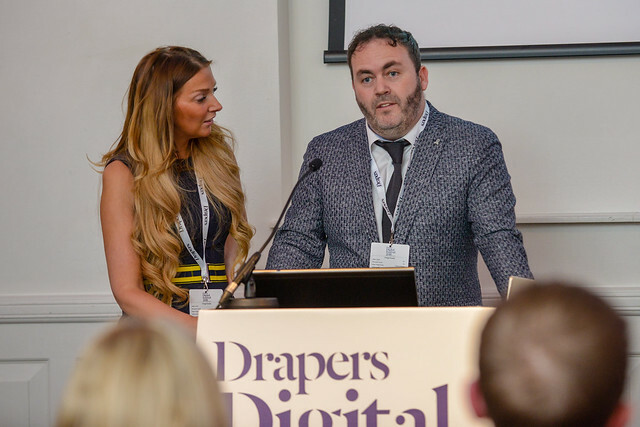 Drapers Digital Festival is the only event for the fashion retail industry with the live judging of the Digital Awards finalists. Get under the skin of the best performers by watching three categories live judged: Best digital marketing campaign, Best app and Best use of innovation.